Anyone who has hosted Thanksgiving knows there is a great deal of preparation that goes into the holiday. The preparation isn’t limited to planning a menu, grocery shopping and cooking (for hours, even days, on end). In addition to getting food ready, it’s also important to get your kitchen ready for all of the festivities. If you’re hosting Thanksgiving this year, here are some tips on how to prepare your kitchen. Thanksgiving is the perfect time to upgrade old kitchen appliances that need replacing. Instead of waiting until Christmas or another holiday to get a new stove, oven or refrigerator, start the gift-giving early. Any appliances you’re going to replace ought to be replaced by Thanksgiving week. Even replacing a kitchen sink, or getting a new microwave or toaster oven, can make the food prep much easier. A quick wipe-down is all your kitchen counters may need on a day-to-day basis. Before you start cooking on Thanksgiving, though, your kitchen counters should be thoroughly cleaned. Move your toaster, coffee maker and knife block, and make sure you clean all of your kitchen counters’ surfaces. This will ensure they’re spotless when it comes time to start preparing food. If you have limited counter space, you may want to put any small appliances you moved and don’t need on Thursday away. The room they take up can then be used for additional cookware and food. For even more room to work on, set up a staging area in or near your kitchen. A folding table with a tablecloth on it will look festive, and it’ll give you a space to put dishware out so it doesn’t take up valuable counter space. If you're planning on having a large gathering, with family and friends, Thanksgiving may be the first time they have been to your home. 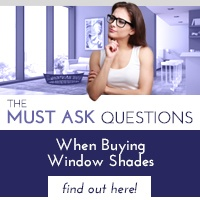 Impress them by installing window shades in your home and kitchen. With multiple options from motorized to interior and exterior, window shades are guaranteed to make your home stand out to all of your holiday guests and work great in multiple areas of your home. 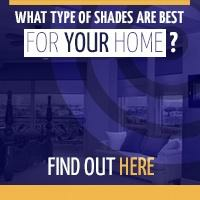 To find out just what new shades could do for your home, request a free in-home consultation. 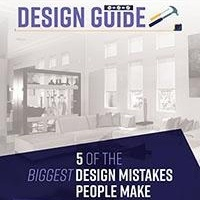 Polar Shades has helped many homeowners give their homes a completely new look by installing window shades, and we’d be happy to help you see how shades could improve your home. 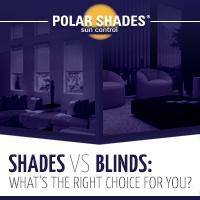 Call Polar Shades today at 702-260-6110.